Welcome to October. A new month brings a new image for Talk Amongst Yourselves. 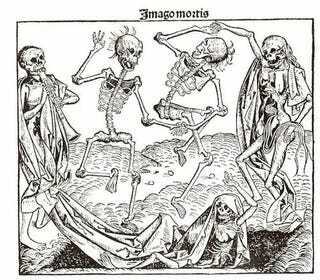 This one is by Hans Holbein, 16th century artist behind some creepy made-for-Halloween works like this one. Talk about games here. Go to #TAYpics to begin riffing on this image. I'm excited to see what you come up with. Thanks to reader MrGOH for the image suggestion.